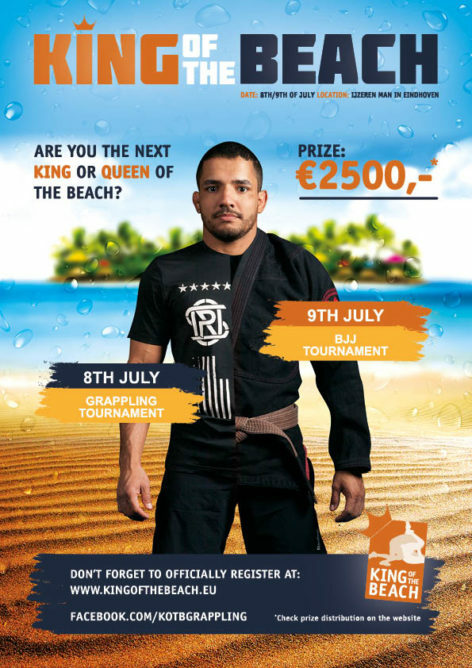 King of the Beach, Europe’s biggest outdoor grappling event, will celebrate its 8th edition this year and it will be a 2 day event! Grapplers attendance has steadily been rising up to 285 competitors in 2015, and was 350+ in 2016. This year will be the biggest so far! With a relaxing vibe, barbecue, and the possibility to take a swim after fighting it marks the start of summer holidays for many grapplers all over Europe. Located at a small beach in the city of Eindhoven in Holland, it’s the perfect opportunity to chill out with friends and teammates, enjoy the sun, some food and maybe a beer or two. And with experience level for all classes, a total of €2500 in prize money to win for experienced grapplers it’s not something you want to miss out on. 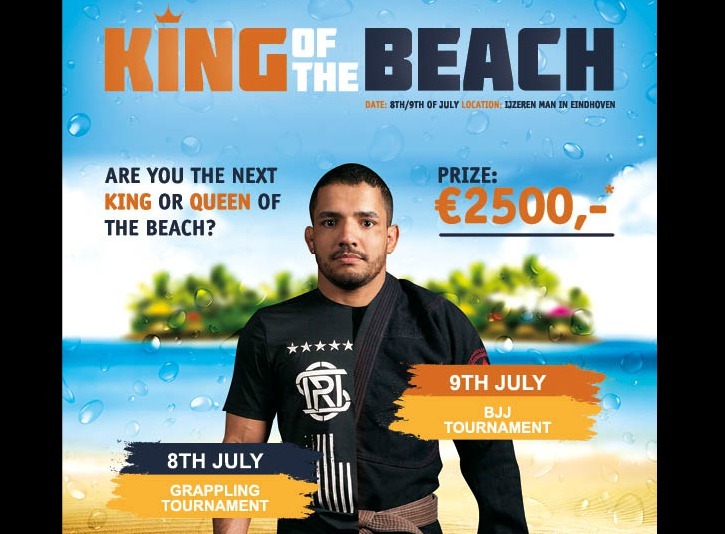 What: King of the Beach outdoor grappling tournament, saturday 8th of July No-Gi Grappling, 9th of July BJJ. Who: Grappling and BJJ enthusiasts from all over Europe!